So that’s it! The switch has been flicked. The boiler on the Christie supercomputer has been stoked with coal and the clutch gently let out – and we’re off! You’re now able to shop with us online and receive your delivery from our Bearsden and Broomhill shops – and that’s delivered by us where you choose your delivery slot. We’re starting with some great value boxes, but we’ll be extending our range in the weeks and months to come and hopefully offering some really handy local collaborations – but more of that in the posts to come. Have we got it right? We’re interested in your opinions? We’re offering this service as we can see that time is short, parking can be tough and shopping habits are changing. One thing we won’t change is our focus on our local area. We deliver all our produce ourselves – so no couriers and ice pack boxes – and we only deliver locally to the areas our customers are currently drawn from. There are lots of great high streets out there and we’d urge you to visit yours if you’re not from the west of Glasgow. It’s pretty easy really. Like most online retailers, you pick what you want, add it to your shopping basket, tell us where and when you want it delivered, make a payment and a suave and sophisticated delivery driver, or me if you’ve drawn the short straw, will appear at your door at the time you’ve chosen. But you don’t have to do it that way. 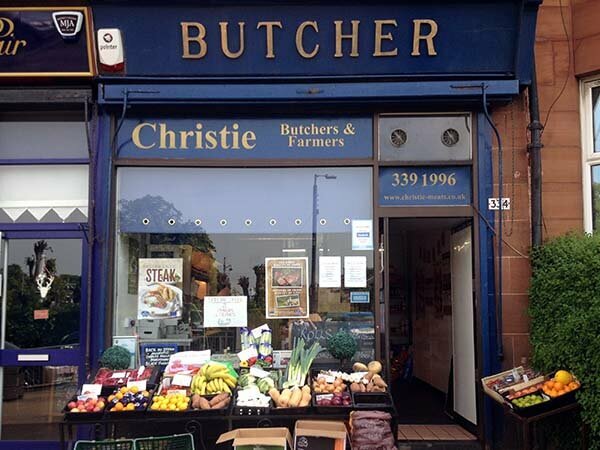 We’re delighted to take orders by email or ‘phone if you want a bit of advice first, or are looking for something that’s not on the site, or if you’re passing either shop in Bearsden or Broomhill and would prefer to collect. We’re also delighted to hear from you what you would like the site to be, or the goods you’d like to see us offer. 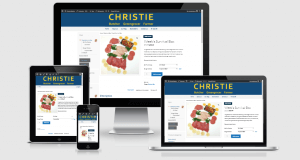 We’ll soon be adding fruit and veg options to the site and meal solutions too. 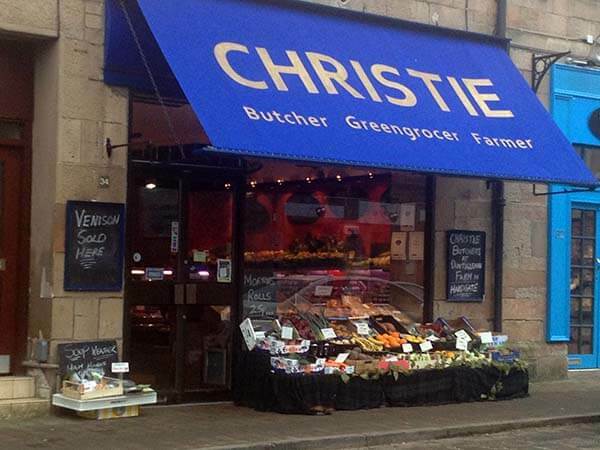 Everything you need for your evening meal or Sunday lunch delivered ready to go. We’re also working on a Sunday morning breakfast box that should help clear the head, if required. You’ll also find advice and recipes to help you cook what you can buy. A good part of that advice comes from the Butcher’s Mum: retired principal teacher of home economics; science graduate, amazing cook, great gardener, amateur gin sampler and farmer’s wife. All at the same time. I was brought up to see cooking as good fun, good for your health and good for your wallet – hopefully, you do too.